Date: Monday 19 April 2010. 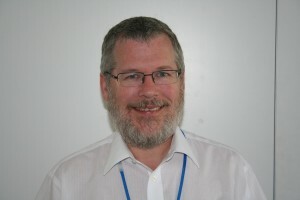 Frank Gray is the Director of the Screen Archives South East. He started work in the Duke of York’s as an usher in about 1980-81, whilst he was a postgraduate Art History student at the University of Sussex. His relationship with the cinema continued when he started work at the University of Brighton as a part -time lecturer in Film Studies. Frank describes three distinct eras of the Brighton Film Festival; the first under Jim Hornsby between 1985-1994; the second between 1995-2001, in which Frank worked with the Director of the Brighton Festival Chris Barren to offer a annual film programme as part of Brighton Festival; and the third led by Cine City which started in 2003.The Cine City Film Festival emerged as a result of an existing collaborative relationship between Tim Brown, the education officer at the Duke of York’s, and Frank Gray, to a decision by the new director not to continue to offer a film programme in the Brighton Festival. The current Cine City Film Festival is a 14 -16 day event held at the end of November. Funding from Brighton and Hove Council, The Regional Screen Agency and the Arts Council continues to enable the festival to offer a varied programme. The early 1980s was an interesting time for the Duke of York’s. This was largely because it changed from a cinema showing mainly second and third run American films to an art house cinema. This change also reflected the growth of Brighton as a student town. Frank also reflects on the changing role of the projectionist, drawing attention to the increasing challenges of this role .He highlights the theatrical history of the cinema. If you would like to listen to this interview please contact Christina Reading cr118 @brighton.ac.uk. This entry was posted in Memories and tagged In Conversation, Projection, Staff. Bookmark the permalink. Both comments and trackbacks are currently closed.